Hollman, Inc. has been building NFL, NBA, MLB and NHL-quality athletic lockers for nearly half a century. Founded in 1976, the company began with building engineers, drafters and CAD artists in its ranks to design and build a superior locker-room locker. Since then, Hollman has built more than 12 million Hollman Lockers and Athletic Architectural product – including two million glass, wood, laminate and phenolic plastic locker installations for high-profile organizations like various national sports leagues, enterprising American golf courses, country clubs, fitness studios, corporate centers, gyms, college campuses, museums, hospitals and more. For a complete catalog of Hollman Lockers and Athletic Architectural products organized by application (professional sports to fitness centers to country clubs), read and see more at Hollman’s online showroom gallery here. At its 300,000-square foot Irving, Texas manufacturing facility, Hollman Lockers can customize every detail of your new recreational, commercial or institutional lockers, from interior and exterior colors to application-specific hardware to custom size and installation options. Need a locker that will stand up to frequent heavy use and moisture? Hollman’s phenolic plastic lockers are build to endure constantly wet environments like pools, spas, and aquatic recreation centers, and are anti-scratch and anti-impact. Here at Jersey Architectural Door & Supply Co., we regularly stock Hollman Lockers and hardware because we want our customers to be able to select from the best brands. As a company, we know what it takes to manufacture a building product that stands up to harsh environments and heavy use. For nearly a century, we’ve built our reputation on stocking such quality products, and with one quick, easy phone call to Jersey Architectural’s industry-trained service technicians, you’ll see why Hollman is always at the top of our lists. 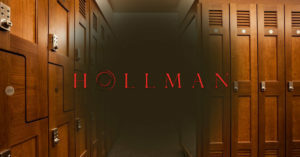 For our customers who are in need a custom locker room built with the best of the best, we always point them toward Hollman’s Signature Collection. Hollman Lockers Classic Collection: This collection highlights the best of modern locker trends, with affordable prices and speedy delivery timetables. The Classic Collection features 13 styles of lockers with 20 smooth and woodgrain finish choices. Hollman’s Quick Ship Express Lockers: Available in four unique colors, this product line is ideal for smaller locker orders, with modern and contemporary designs and the fastest installation timetable. Includes both two-tier and three-tier lockers, used for clothing and gear, respectively. These lockers are perfect for small businesses, fitness centers, salons, day spas, small recreational facilities, corporate workspaces – even households. Hollman Lockers Signature Collection: Built with fitness studios, gyms, spas and athletic centers in mind, Hollman’s Signature Collection features contemporary, chic designs and organic feels. These lockers are for specialized applications, such as Hollman’s Swim Lockers made from water-resistant phenolic plastic which include an interior drain, or wallet lockers for easy storage of cell phones, keys, wallets, tablet PCs and other valuables – with USB connectivity options available. Want To Know More About Various Hollman Lockers and Athletic Architectural Products Offered By Jersey Architectural?